In 1984-1985, Pioneer featured the designs of H.R. Giger in a series of Japanese magazine ads for their Zone home entertainment system. Amazing! Where do you find this stuff? Don't tell us and please keep it coming. Wow. Creepy stuff. Aliens was my favorite childhood movie. Thats cool. 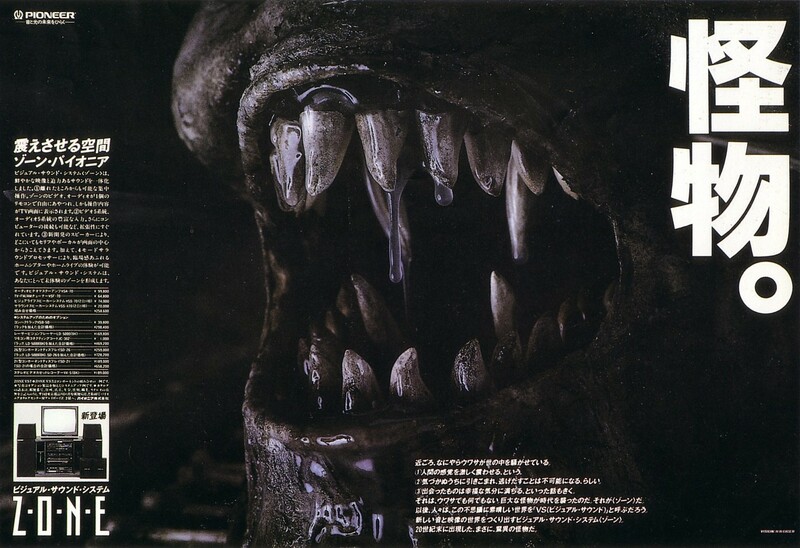 There was a Giger bar opened in Tokyo in the 80s as well. Apparently it couldn't be built to his spec, so he canceled it, but some seedier members of society opened it anyways. It closed maybe 10 years ago. I guess this was to tie-in with Pioneer's laserdisc players. If you want to visit a real Giger bar, go to the official Giger Museum in Gruyeres, Switzerland. 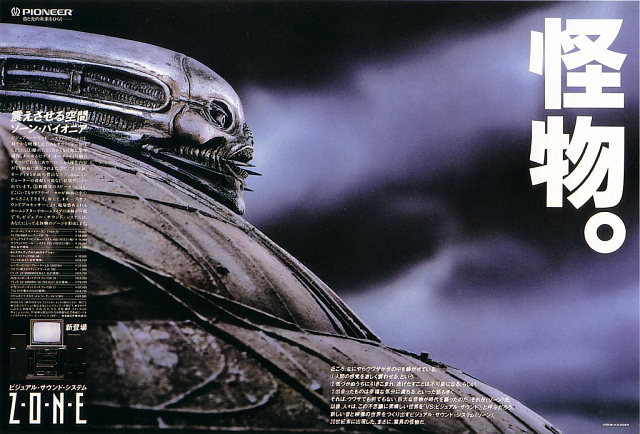 A must-see for any serious Giger fans.